Have you ever been completely mesmerized by the quality of sound and style of musical plays you hear – either from a party or an audio stereo? If you are answer to these questions is affirmative, then you definitely have fallen under the charm of a good DJ. 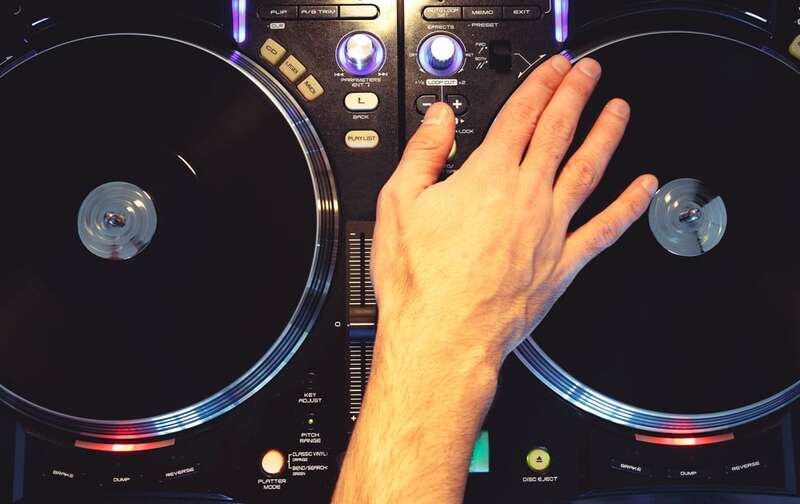 As you know, (or probably don’t), A Disc Jockey, – DJ for short is someone who mixes a collection of songs skillfully to meet the actual mood of any party, which he does from his Turntable DJ mixer. This mixer, however, is responsible for helping the DJ to easily switch from a boring song to a more occasion-fitting melody. Nonetheless, this doesn’t really come easy as it sounds, especially if you are starting up as a novice. But not to worry, with my wealth of experience, I have garnered some useful tips which I think will assist you to become the very successful DJ you are hoping to be. So I’d adjourn you relax as we take a dive in at my ten (10) tips of becoming a world-class DJ. First of all, it will be important to understand that there are different kinds of DJ, so it is important that you know where your interest really lies. Nevertheless, they have one similarity, – they utilize the DJ controller to manipulate and tweak their mix. The first on our list is the Club DJ. Without mincing words, the Club DJs are the most popular. They are the flashy types that make long mixes in various clubs. They maintain a reputation of knowing how to strike a balance between a dance floor and a bar, while keeping the mood lively. The next in line is the Mobile DJ: These kinds of DJs perform at occasions and events, such as weddings, birthday parties, corporate events, and the likes. They also know how to strike the chord of keeping a party going. Lastly, we have the Radio DJs: These kinds of DJs are the types that basically perform on the radio. Most times, we often mistake producers as DJs. But they are two different people entirely. Their major difference is that a producer produces a song while DJ works on already produced songs. But they are kind of interwoven, – they work hand in hand. Also, we have the Performers (or Turntablist – from the term Turntables). These kinds of DJs are usually freelance DJs and can basically work either as a Club DJ, Mobile DJ or even a Radio DJ. Know your objectives! Set them out carefully in order for you to achieve them. Also, know why you are doing it. This will go a long way to ignite determination. Rekordbox: This software allows you to play songs directly from your PC after organizing your music archive. However, it requires using a compatible hardware. Serato DJ Pro: Obviously, this is the best and most popular DJ software available. Although it is advisable to utilize the premium version for extended results, you can also practice with the Serato free Practice Mode. Traktor Pro: Another premium DJing software available is the Traktor Pro. With a small fee of about $99, you’d be on your way to practicing lovable melody from your device. The Virtual DJ is also good software you can consider. Although, not exclusively mentioned on our list, it has proven to be an outstanding DJ practice software over the course of recent years. Having said that, the real deal toward practicing should center on not just the software, but the driving zeal toward achieving what you want. You also can peruse through other online text and virtual courses on YouTube to improve even better. Although there are numerous, amusing basic skills attached to being a DJ, it can, however, be quite tedious, but rewarding. Here are some of them. Beatmatching: Beatmatching is the merging of dual songs playing at the same speed perfectly together without hitches. As a DJ, you pretty much should be able to maintain an equal, balanced tempo with the speed as well. To do this, you have to twitch the jog wheel, pitch bend button or physically to adjust the phase. Phrasing: Phrasing simply refers to as mixing different songs a particular point. At this point, you need to perfectly time the songs to match the beat. You could possibly go with a possible countdown to reach a worthwhile result. Gaining control of the songs is the most essential of all. Here, you have to learn to perfectly turn some vital keys and knobs on the instruments. This would really enable you to adequately tweak songs to match and help you stay in control. EQing: EQing, usually referred to as equalizing, is another vital part of DJing. This involves you knowing how to move the frequencies in a highly-strung movement. It includes a low, mid, and high or bass, midrange, and treble movement. DJ Controller Setup (Recommended): A DJ controller enhances the balance of your software and song mixes. It makes it easy for you to design a mix for just any task ahead. It is usually within the range of $100-$3000. Vinyl Setup: This is very expensive to purchase. Thus, it’s not quite popular. It performs its job perfectly. Timecode and HID Setups: This is quite popular among another DJ setup. It super mixes of records are quite legendary. Once you have complied with the tips mentioned above, and have practiced well. The next thing left for you is to showcase your skills. To do this, you have to try recording a mix to quantify your practice progress so far. This is very easy. You can record with your DJ software on your PC with a recorder, or better still use your Smartphone. However, the vibe and mood you want to create determines the mix you make. You’d agree with me that a bedroom mix differs from a party mix. So, you’d have to be creative and stylish at the same time to suit your blend. Your blend should, however, bolster on being able to switch between cords and frequencies while using equalizers for fine-tuning. You aren’t just a bedroom DJ. It is time to let the world know you. Post and upload your DJ mixes for people to feel. Mind you, the public can be very brutal with their judgments. They will tell you directly without mincing words what they think of your mixes. If it is good, thrive to be better, and if is the other way round, don’t be discouraged by that. Rather, channel your passion towards becoming successful at what you are doing. To you, take it as their way of telling you that you need to improve. The only way to promote your brand and self is to hustle. For you to start getting gigs, you need to place more over on yourself. When people know and talk about you, shows will start trooping in. Get close to people that will move your career forward. Stay true and humble and then you’d see that everyone will be happy. Your first DJ gig should be exciting, wouldn’t it? However, it really shouldn’t matter if it will be of financial benefits to you. Rather, you should focus more on the experience it would bring you and how it will help to build your reputation. Try to make and maintain a positive impression on your first gig. To go extra miles, you shouldn’t mind throwing your own night in a club scene. That will also give much experience. Meet people; hand out your business cards to promoters and fellow DJs. It sure wouldn’t take long for you to reach your pinnacle. Don’t forget, DJing is a continuous hustle. Even after getting your gigs and all, you need to continue honing and maintaining your impressive craft. Understand your audience every time you are on deck. You should know the very mixes that cause them to shake their legs. Sharpen your skills and expertise every day. Be versatile and blend easily with beats and songs. These are the qualities that make you an exceptional DJ. Conclusively, you’d agree with me that DJing requires more than just mixing songs. It takes a whole lot more of learning, re-learning and dedication to actually be a successful DJ. But with the highlighted skills and requirements mentioned here, you obviously are on your way to lead the radar.